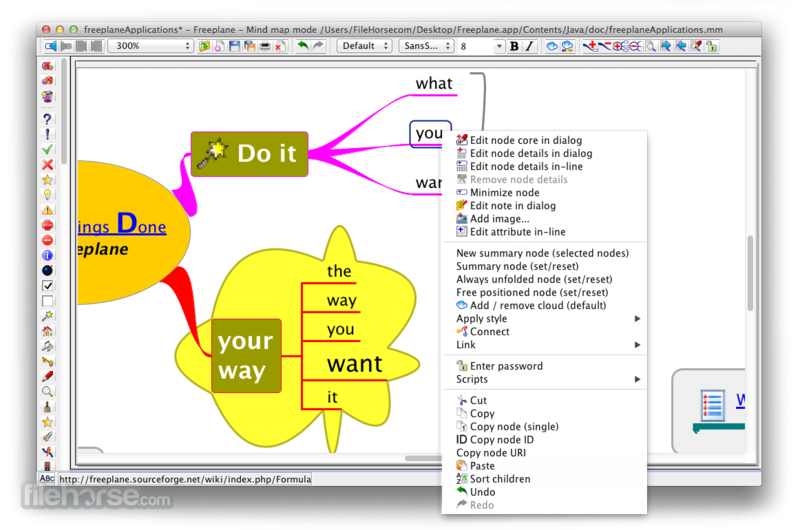 Freeplane for Mac is a free and open source software application that supports thinking, sharing information and getting things done at work, in school and at home. 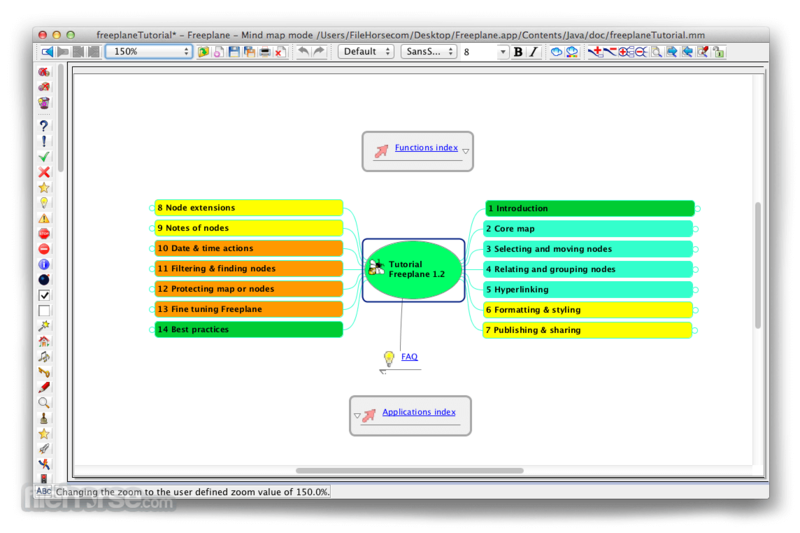 The software can be used for mind mapping and analyzing the information contained in mind maps. 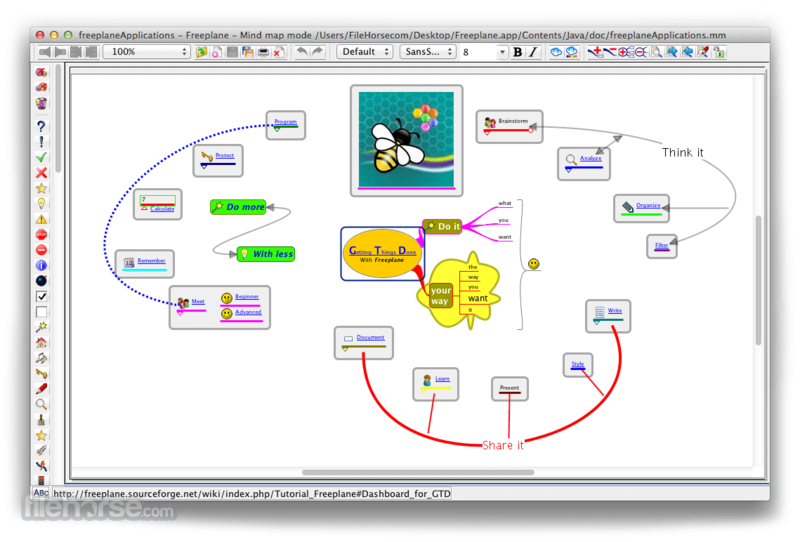 Freeplane runs on any operating system that has a current version of Java installed. It can be run locally or portably from removable storage like a USB drive. Approximate Search (similarity search) which allows to find search terms in a text, even if there is no exact match (e.g. "setup" = "set up" or "flie" = "file"). 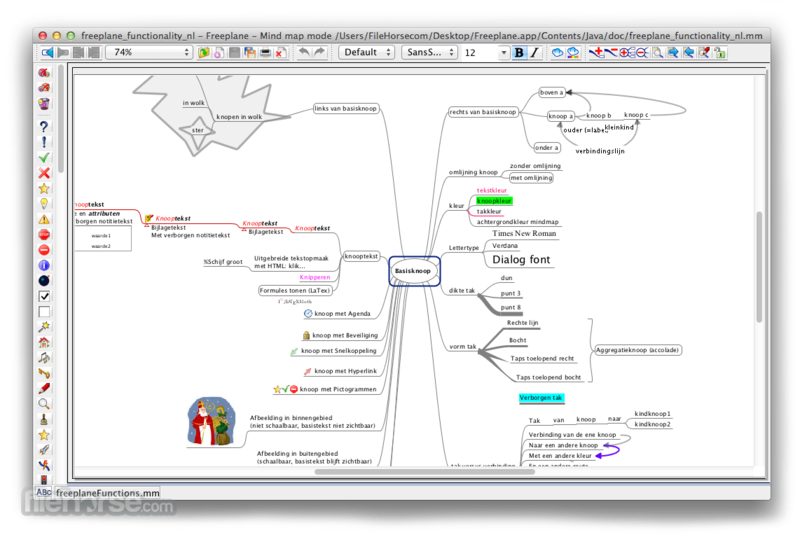 Extensive support through Wiki and Forum; and tutorial and documentation in the form of a mind map. 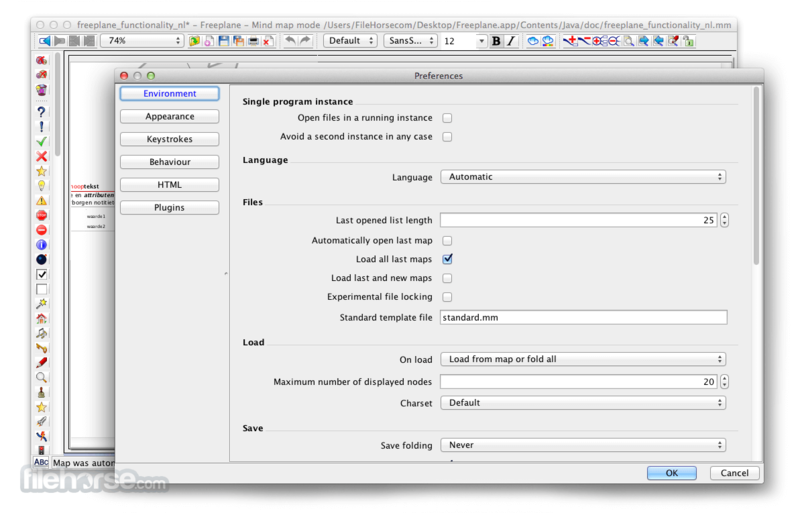 Note: Freeplane can work on any operating system that has Java Runtime Environment installed.